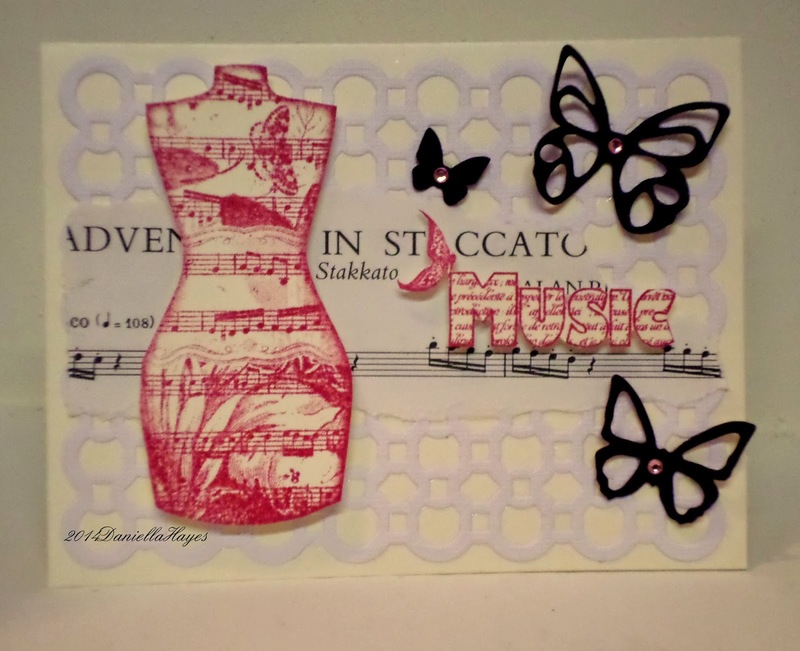 This is my last post as a member of the SinCity Stamps Design Team. I've had a wonderful time!! I got to work with amazing artists, and use AWESOME products. It has been my pleasure Donna and Terri!! For my final project, I made a quick and easy card. I started with an 8 1/2" x 11" piece of cardstock. I cut it in half horizontally. Fold one side in half, and you get a standard A2 size cad. I stamped my images on the other half. I spent some time cleaning my studio this weekend and found so many beautiful things!! I found a bunch of diecuts and pieces of sheet music (and a lot of other things!!). 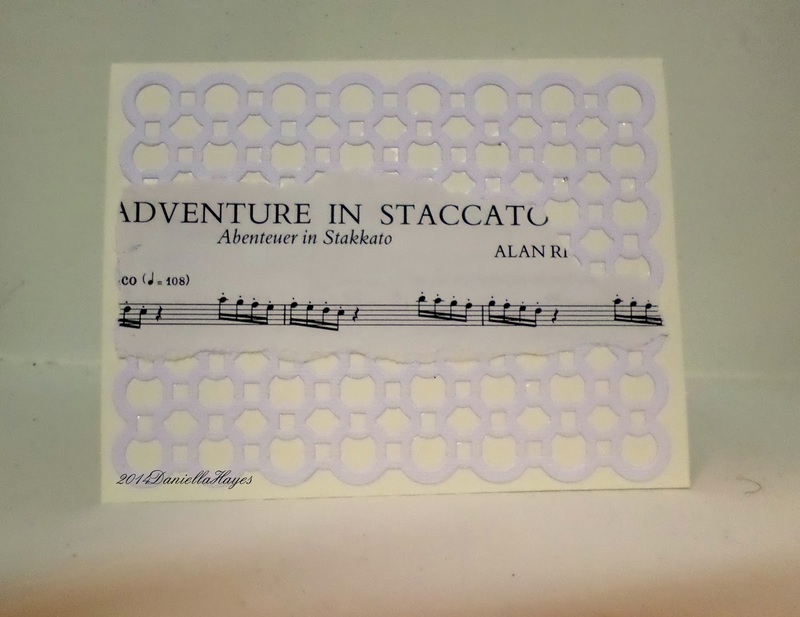 The circle piece behind the sheet music was one of the things I found. I don't know where it came from. I ran it through my Xyron and attached it to the card. I used a glue runner to adhere the music scrap on top. 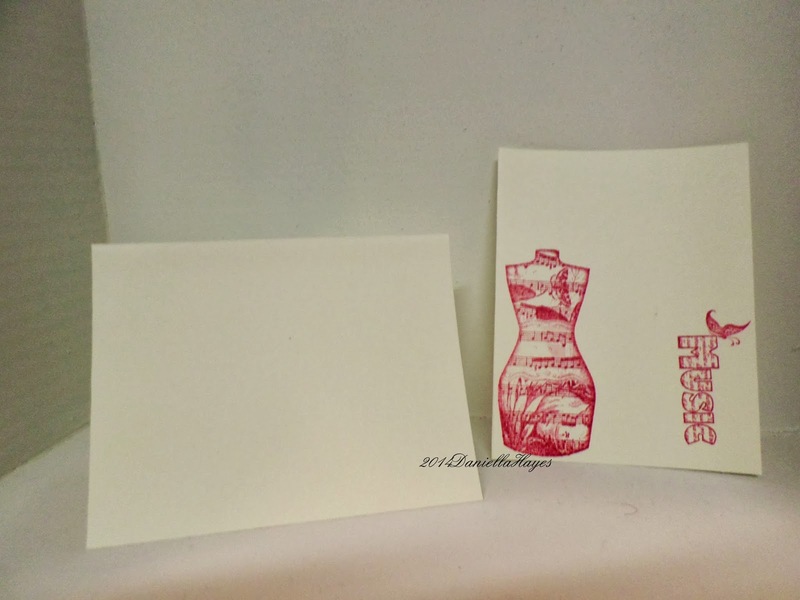 I cut out my stamped images out and attached them to the card with foam dots. I put a rhinestone in the center of the butterflies and attached them to the card with a mini glue dot. Again, thank you to everyone at SinCity Stamps! It's been fun!! Lovely card, as always, Daniella! It is has been fun working with you, but I know I get to continue working with you on other teams. Best wishes in all you do! Beautiful Card Daniella, I love it!